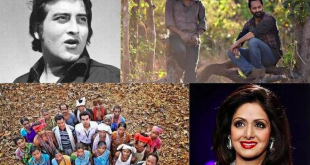 The 65 National Awards honoured two actors posthumously this year — Sridevi was conferred the Best Actress Award for her last film Mom, and Indian cinema’s highest honour, the Dada Saheb Phalke Award, was given to actor Vinod Khanna. 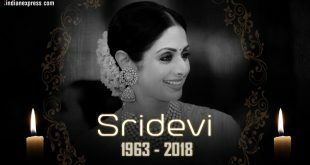 The funeral and last rites of Sridevi are being held at Vile Parle Seva Samaj Crematorium and Hindu Cemetery, Next to Pawan Hans, SV Road, Vile Parle West. 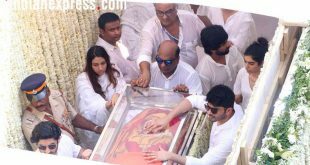 The actor's mortal remains have been taken to her residence Green Acres in Lokhandwala. 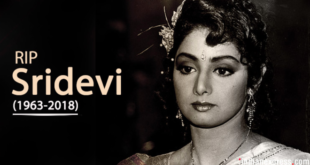 The Consul General of India, confirmed that Dubai Police has closed Sridevi's case. 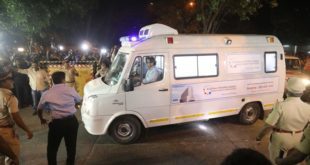 A consulate official also added that preparation of bringing Sridevi's body back to India is being handled by the actor’s family. 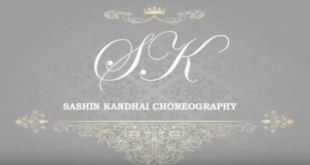 Sridevi’s body is expected to arrive in India on Tuesday after delays in Dubai over the protocol of an suspicious death and the embalming process is yet to be completed. She died of accidental drowning in a Dubai hotel. Dubai Police have released the forensics report of Sridevi to her family and the Indian Consulate representative. A private jet flew to Dubai from Mumbai to carry the late actor’s body. The funeral is likely to take place at the Hindu Samshaan Bhoomi in Juhu on Monday.